If you have a sweet tooth for booze (or a sweet tooth and also like booze), you're in luck. It's vodka Easter and boozy Halloween in your house. 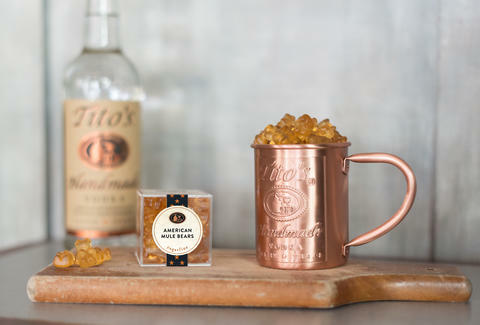 Tito's Vodka has partnered with boozy sweets purveyor Sugarfina to make vodka gummy bears and cordials. Tito’s American Mule Bears are infused with vodka and ginger beer, though they are, unfortunately, non-alcoholic. However, the dark chocolate cordials contain 5% abv. 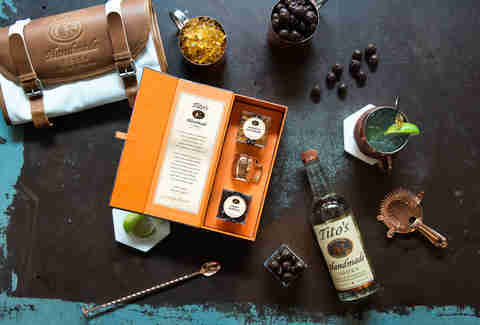 Inside the dark chocolate is "a sip of super smooth Tito's Handmade Vodka." It's a small sip, but there's actually vodka in the middle of these chocolate baddies. If you need it all, there's even a "Vodka's Always a Good Idea" bento box version that comes with the American Mule Bears and the cordials, as well as a copper mug so you can make believe your gummy bears are a Moscow Mule. Sugarfina does all kinds of novelty candies. They're behind those rosé-infused gummies that were all over a couple years back. 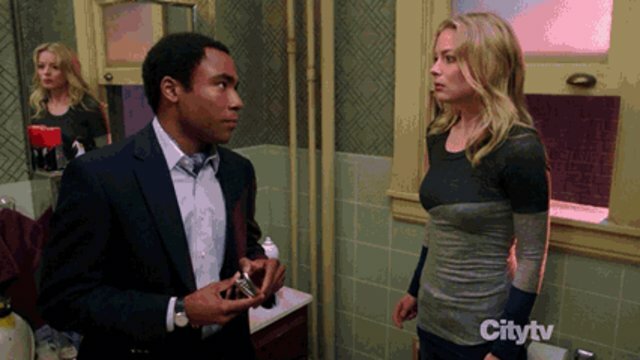 So, they know what they're doing. Just be warned, you can't ship the cordials to your house in every US state. Expert tip: If you get the cordials and take them to work, don't tell anyone about them.